A very simple, functional product. Atomic has nailed it here. Great kick, good glide, and no maintenance! Not a lot to say — they do what the manufactures says they do. Plain and simple. I went out for the first time on these skis a few days ago. 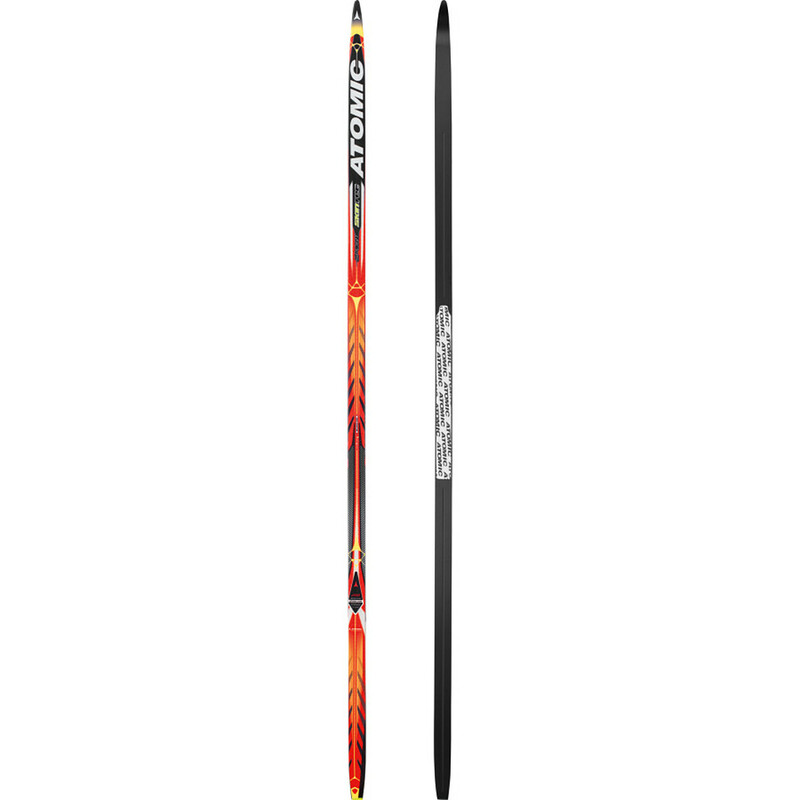 I'm a recreational skier and on the trails almost daily, mostly using waxable skis. I found the Atomic skis great for grip on a fairly icy track, good glide, but watch out for lichen in the track. I do know that if a ski is waxed with klister the same can happen. 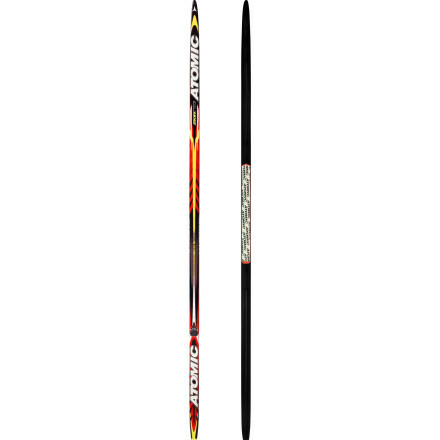 I was very careful when first going over windfall on these skis. All seemed good; they did glide over windfall so I stopped worrying. Almost finished my loop, I hit some old man's beard lichen on a down hill, one ski stopped on the spot I went flying and haven't been able to sit on my tail bone since. 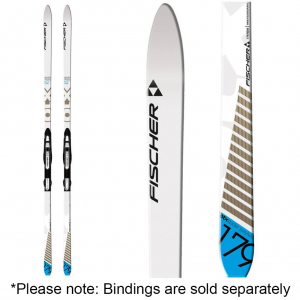 I'm still happy with these skis, but wished I had known to watch for the lichen. Welcome to Trailspace, Love XC. I hope you'll keep us posted on how your skis continue to perform for you. 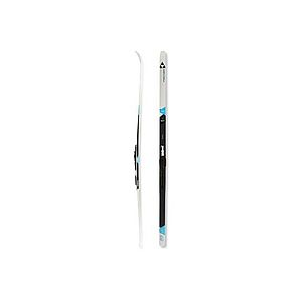 Fast looking skis, great kick, a little grabby sometimes. I received my Skintecs a couple of weeks ago. 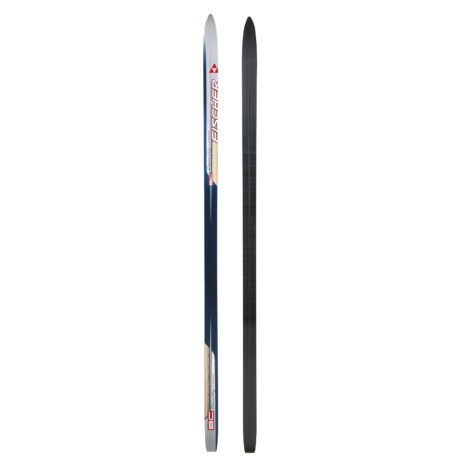 They are the longer and softer type, and my weight is just above the middle of the ski's weight range. I have been using the thinner mohair inserts. The first thing I noticed is that, to glide I have to weight my heels. Some days the glide has been decent that way. Other days, it hasn't been without some friction. It may be that I have not waxed for every condition I have encountered, but it seems it may be the mohairs touching the snow during the glide phase. That may be because of inconsistent technique on my part. Conversely, to kick, one weights the ball of one's feet. The kick is pretty good, even in warm and icy conditions uphill. I tried using the thicker mohair inserts once. But it was way too grabby for me. The Atomic Skintec Classic is not available from the stores we monitor. It was last seen April 2, 2014	at Backcountry.com.